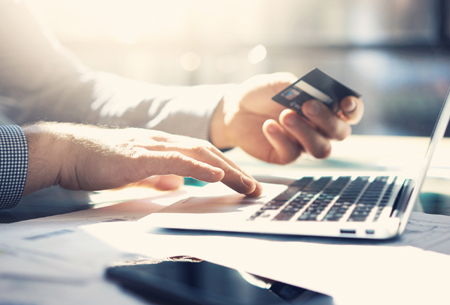 With the festive season just weeks away, Australians are gearing up for the annual peak spending period, and the growth of digital payment options could be widening the gap between what we regard as our spending limit and the balance of our bank account. Credit cards make spending (and overspending) very easy, and a new breed of “digital wallets” like Afterpay, zipPay and PayItLater are replacing traditional lay-by. The convenience of credit cards and digital wallets comes with a downside. Research shows a clear link between the way we pay for purchases and how much we spend. An experiment by the Massachusetts Institute of Technology for instance, involved students bidding on tickets to a basketball game. Some were told they could only pay with cash, while other students were advised they would use a credit card to pay. Among the students using a card the average bid was $60 – more than double the $28 average among students paying with cash. There is a reason for this difference. It’s what psychologists call “the pain of payment”. When we take a note out of our wallet, we feel a sense of loss. By contrast, when we use digital forms of payment we have no real sense of parting with hard currency. And that makes it easier to overspend. On one hand, digital wallets don’t charge interest in the way credit cards do. But they do charge late payment fees. Afterpay for instance charges a $10 late payment fee with a further $7 fee if you still haven’t paid up within seven days. On the face of it, these fees are low but they act in much the same way as card interest – being a charge on an outstanding balance. If you only owe a small sum, the fees can be the equivalent of a very high interest rate. With Australians expected to spend billions of dollars at the check-out this holiday season (last year we collectively parted with around $48 billion), it pays to be mindful that no matter how you pay for purchases, at some point the money comes out of your hip pocket. That makes it critical to keep track of how much you’re spending, and ensure you have enough to meet regular bills – both now and in the New Year, when statements for Christmas purchases start to arrive. By the way, if you haven’t yet given a thought to festive shopping, don’t feel too guilty. A study by comparison site Finder found those who start buying gifts in October spend an average of $716 on presents compared to $343 among the chain draggers who leave gift buying until closer to Christmas Day. Maybe allowing too much time to buy can encourage us to spend more, not less. Contact us for expert advice, managing your cash flow over the holiday season, or at any time of year.